About 35 firefighers responded to the house fire in western Yorba Linda, according to authorities. 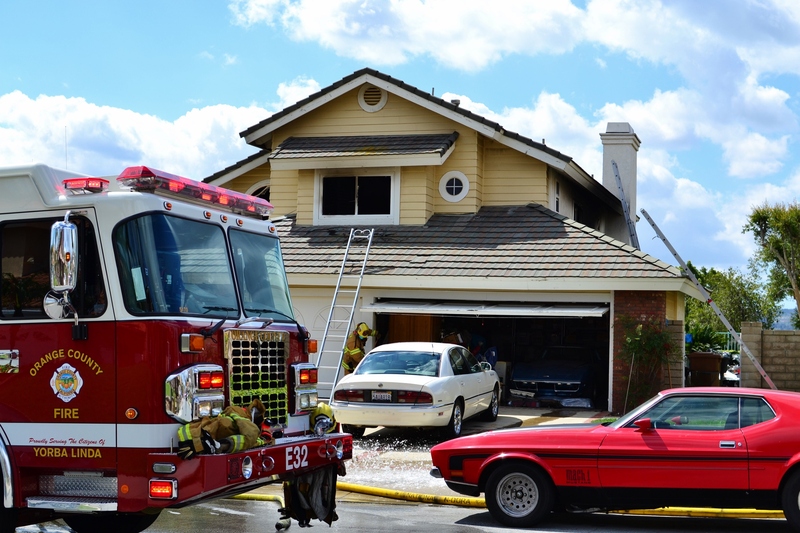 Two Orange County Sheriff’s deputies sustained minor injuries this morning while attempting to rescue an elderly woman trapped in a house fire in Yorba Linda, Calif. Upon arriving at the house on the 21000 block of Todd Ave., in eastern Yorba Linda, a man told deputies that his mother was trapped on the second story, OCSD Lt. Jeff Hallock said. One deputy tried to reach her from the roof on the second story and the other tried getting in through the back, he said. They were transported to a local hospital with injuries relating to smoke inhalation and were released around noon on Tuesday, April 1, according to authorities. The woman and her son also suffered injuries, according to the Orange County Register. A cause of the fire was under investigation, the Register reports. 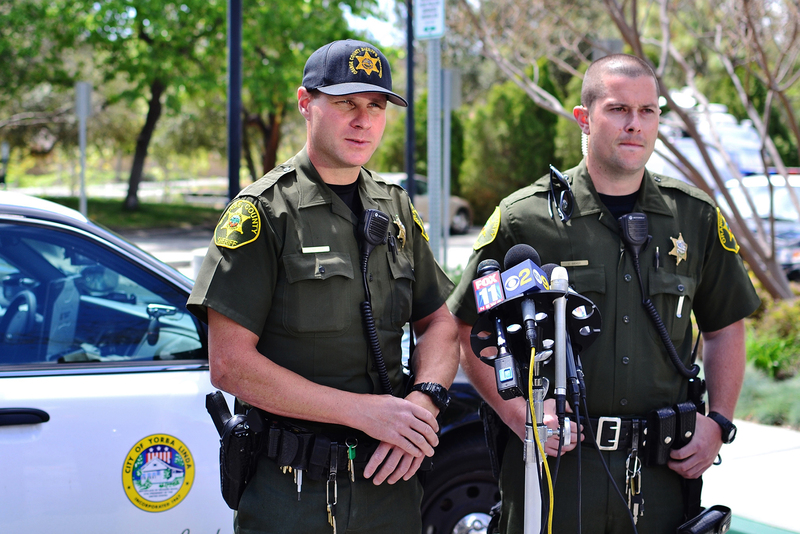 OC Sheriff’s deputies Robert Miranda, left, and his partner Zack Bieker talk to the media following their release from the hospital on the afternoon of Tuesday, April 1, 2014.